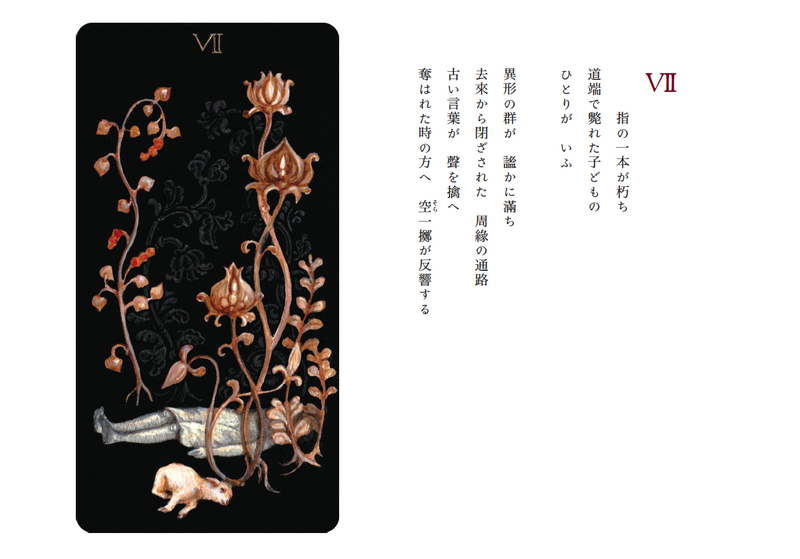 This work was created for the group show "金羊宮" which was curated by LIBRAIRIE6 in 2013. 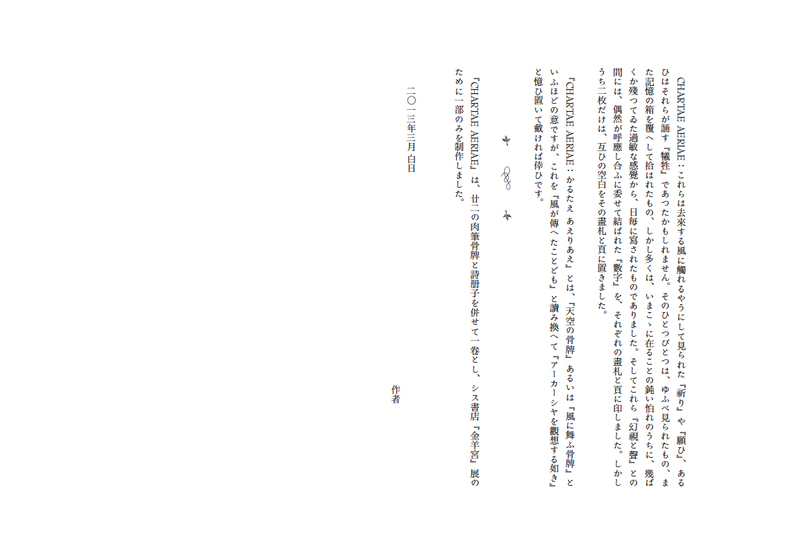 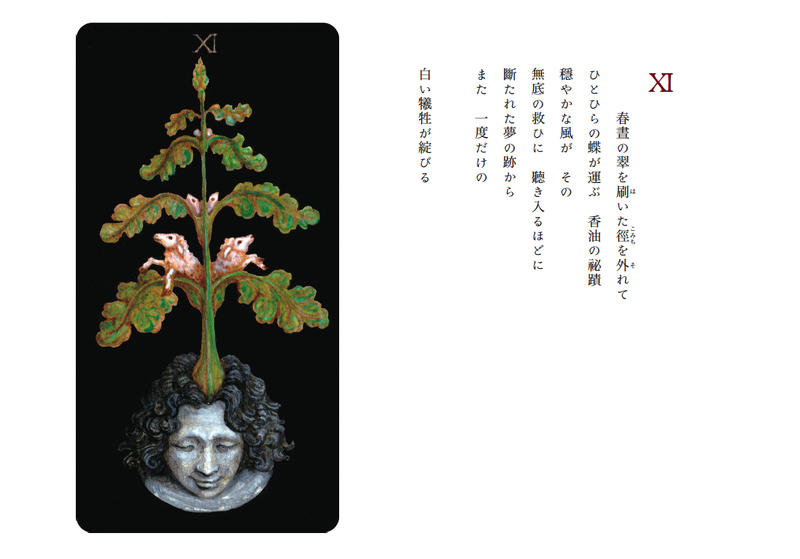 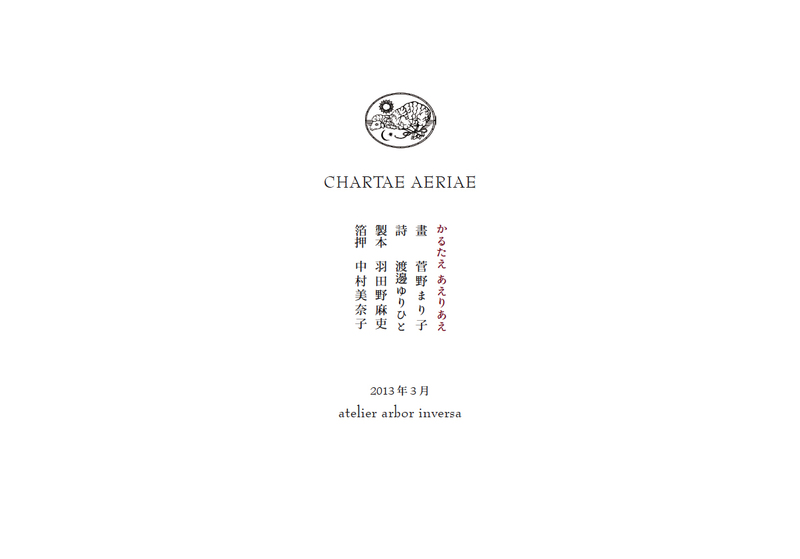 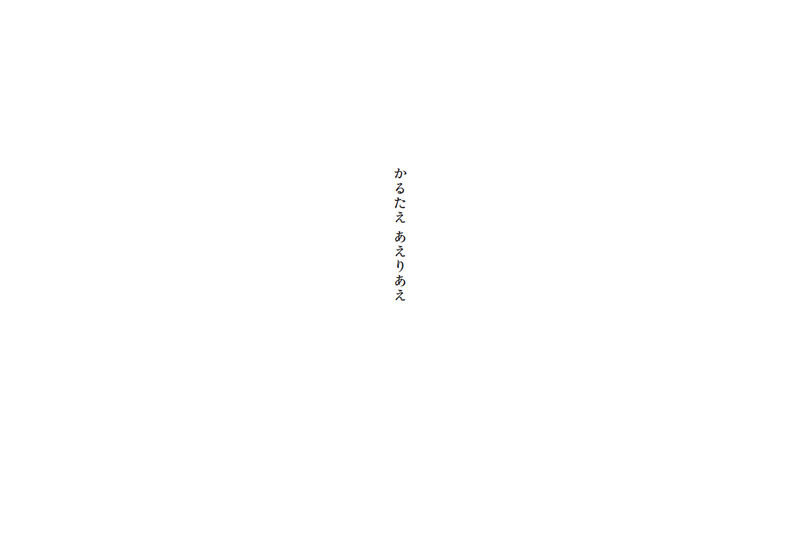 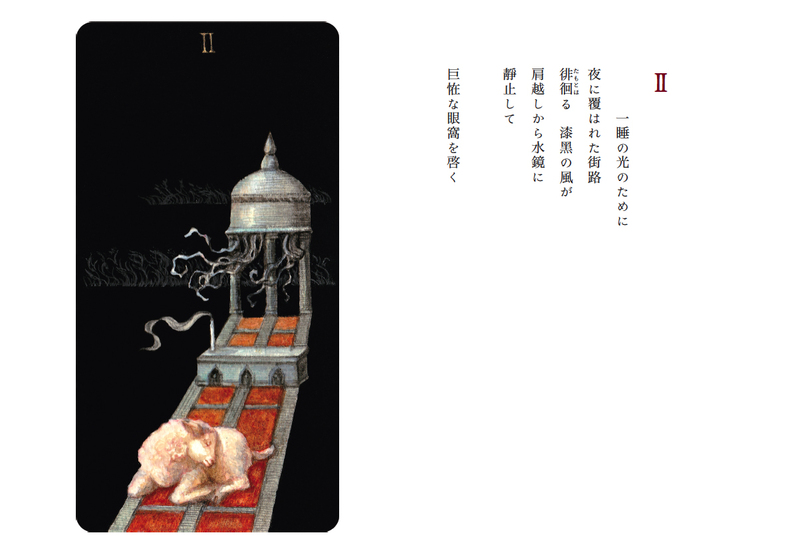 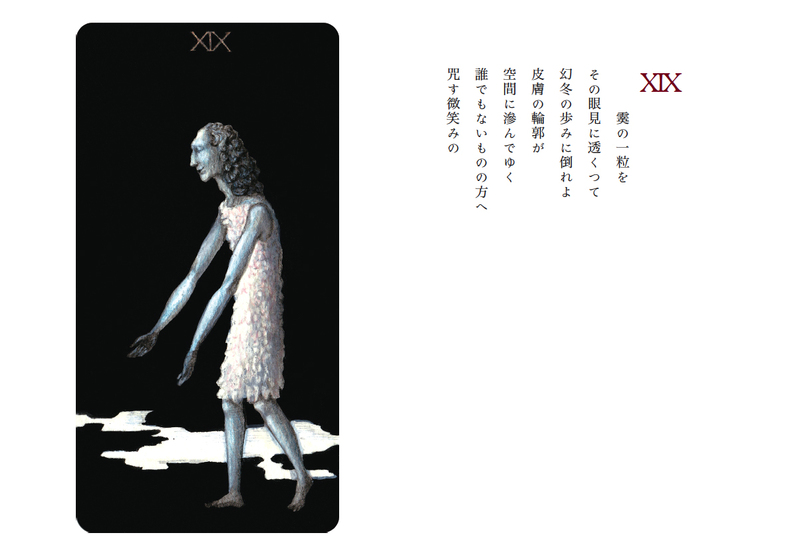 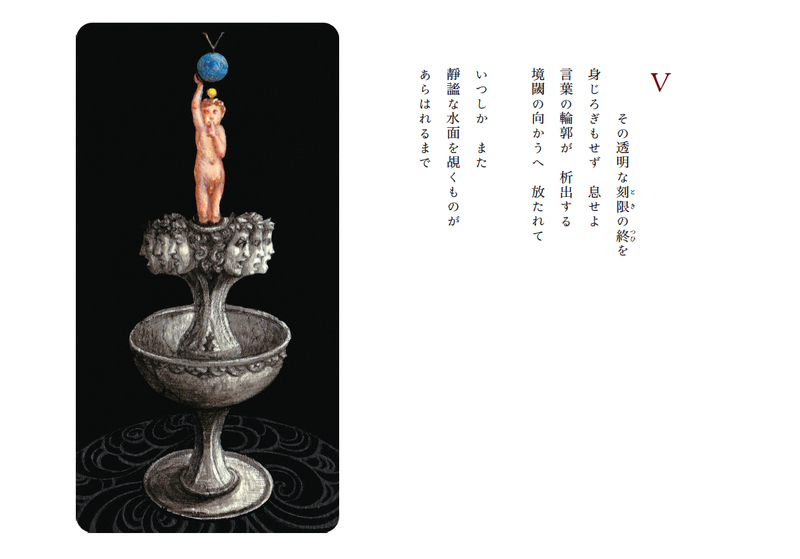 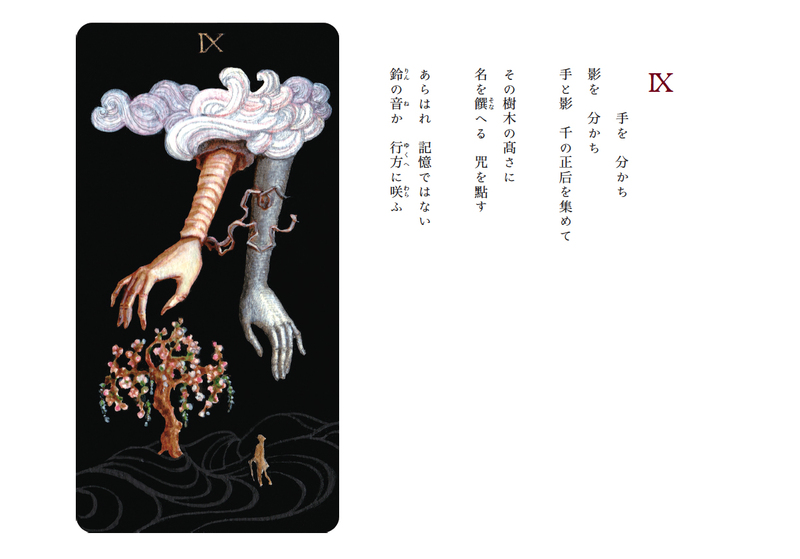 CHARTAE AERIAE is a collaboration with Yurihito Watanabe(poetry), Mari Hatano(relieur) and Minako Nakamura(dorure). 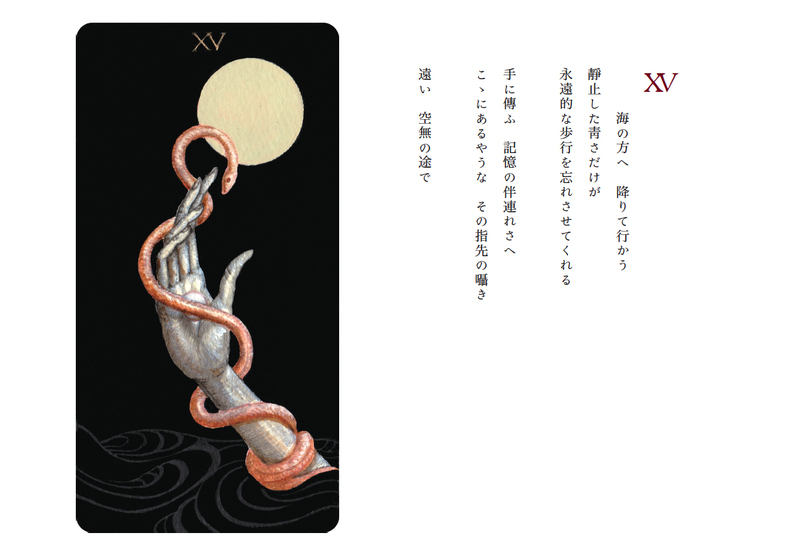 Each of 22 hand painted cards is numbered, and each of 22 poems in the card size book is making a pair with a picture card. 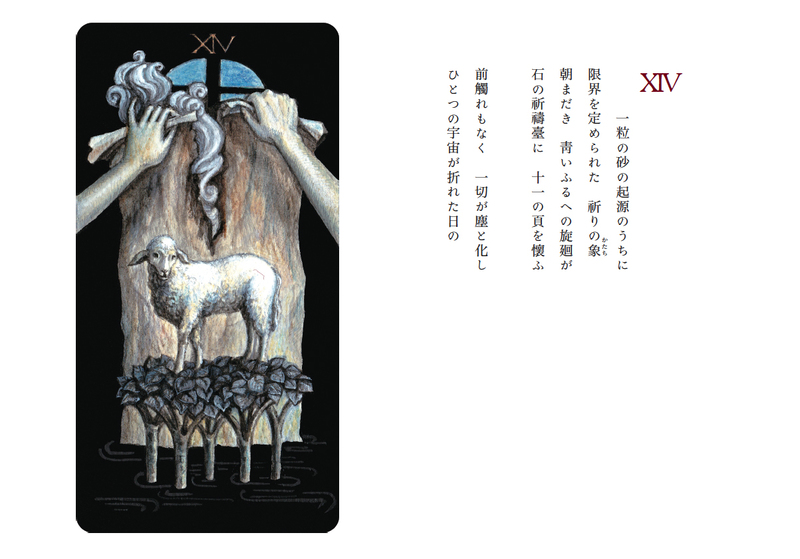 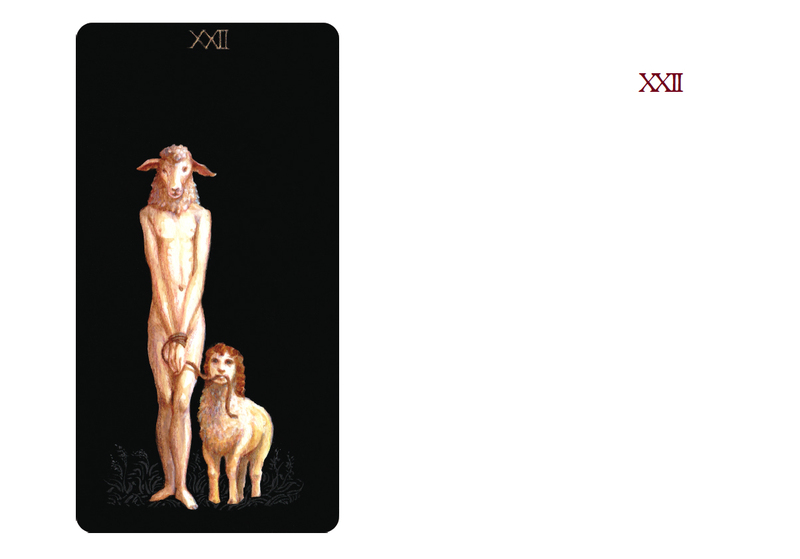 The Emblem on the title page is Agnus Dei designed by artist herself. 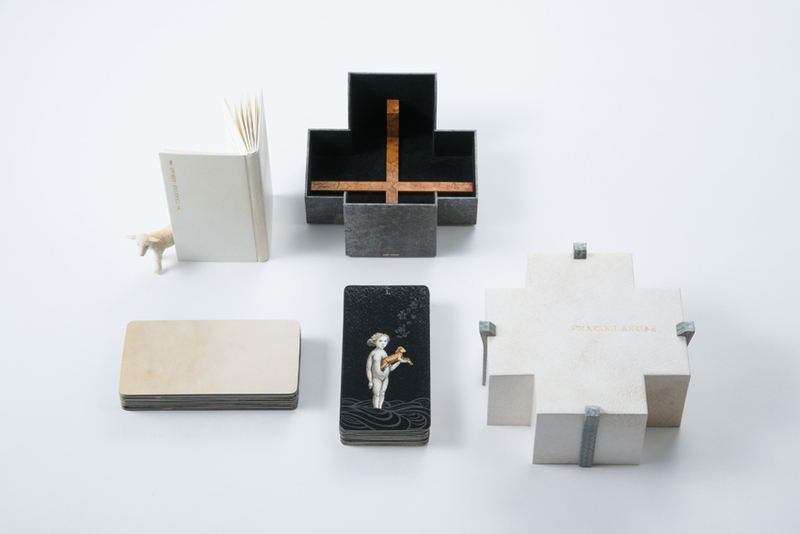 These cards and a book are kept solemnly in the cross shaped container which looks like a cathedral. 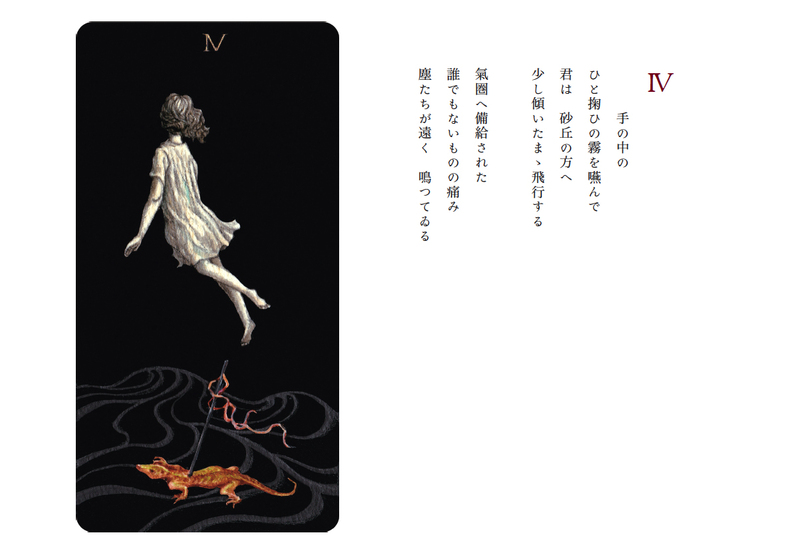 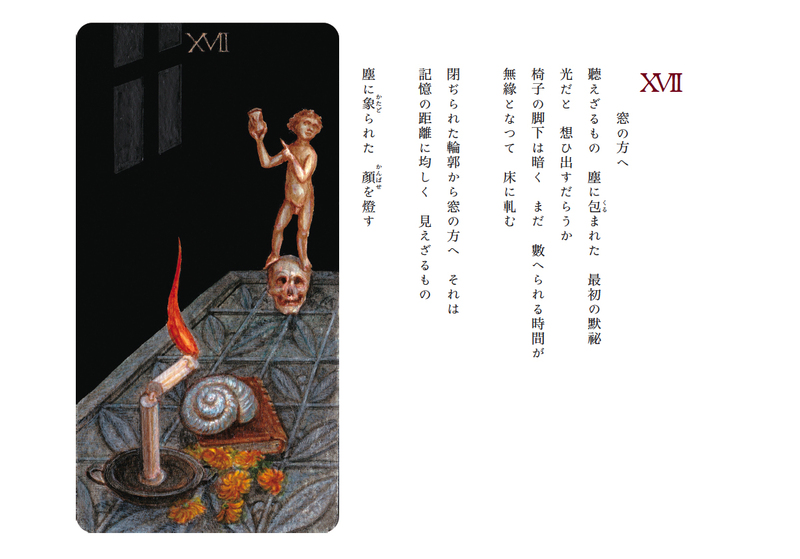 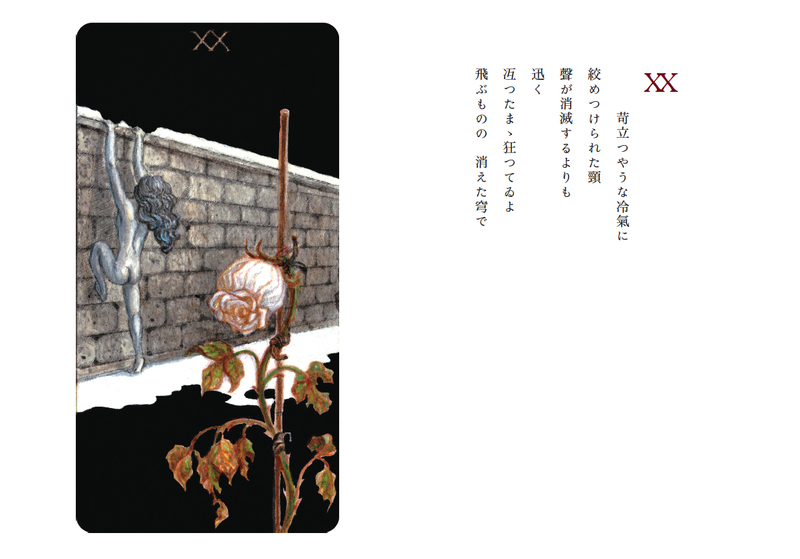 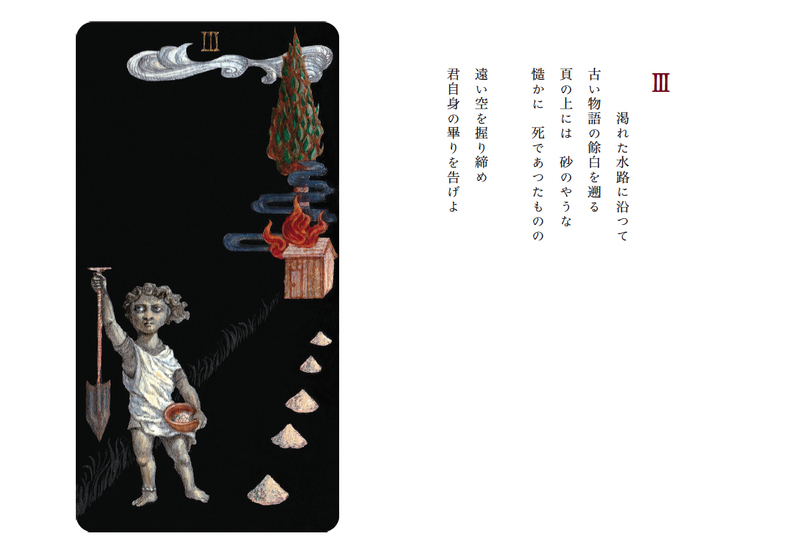 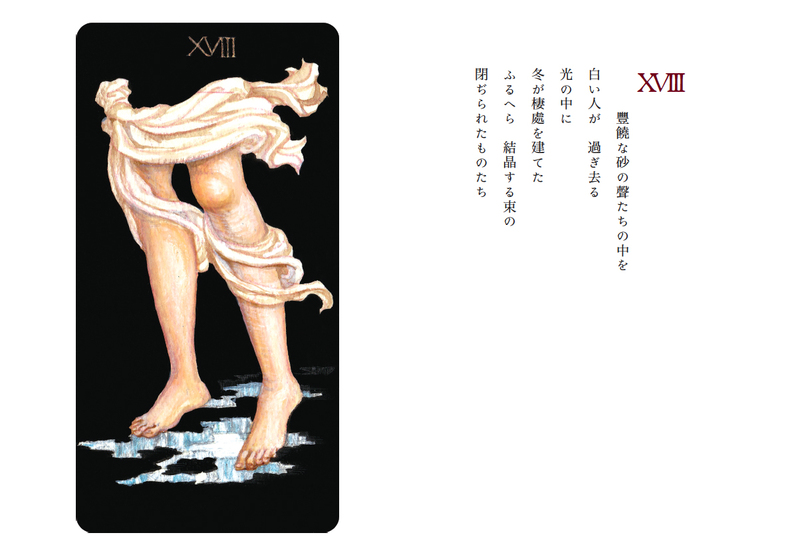 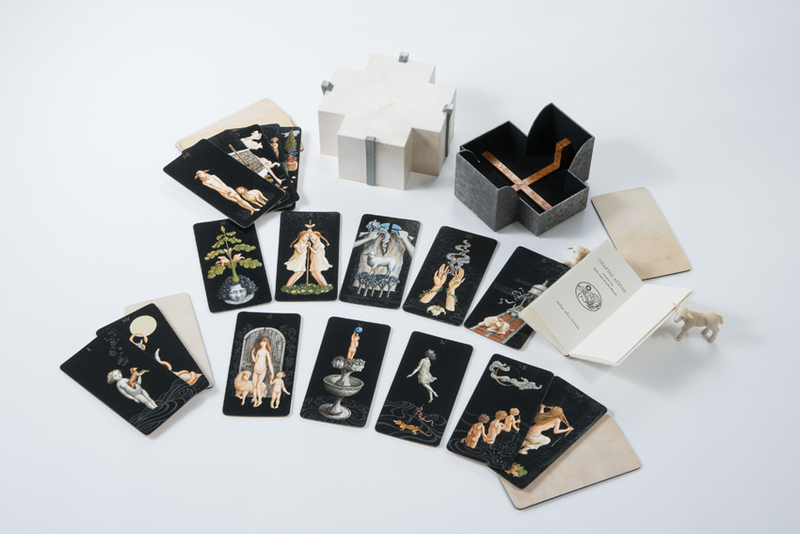 The reader may draw a card randomly like tarot or orcles to read a poem which will be signed by chance. 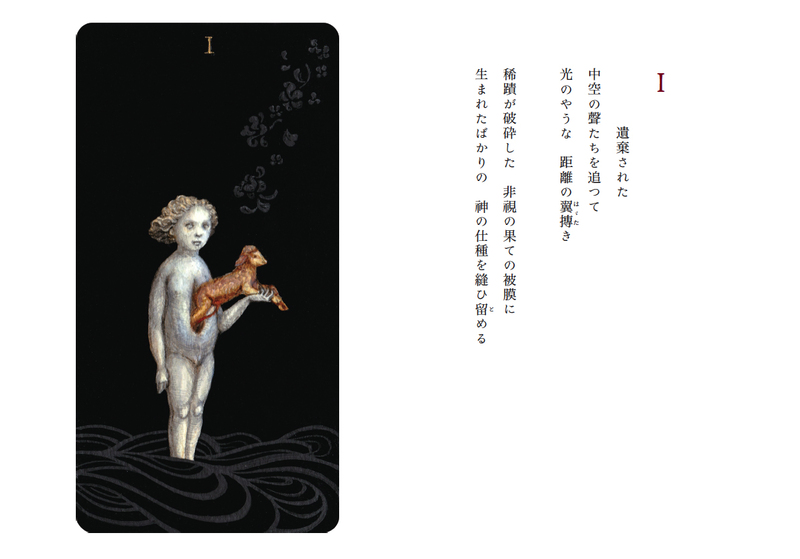 Otherwise, spreading all pictures in sight and immersing oneself in all poetry words may good, too. 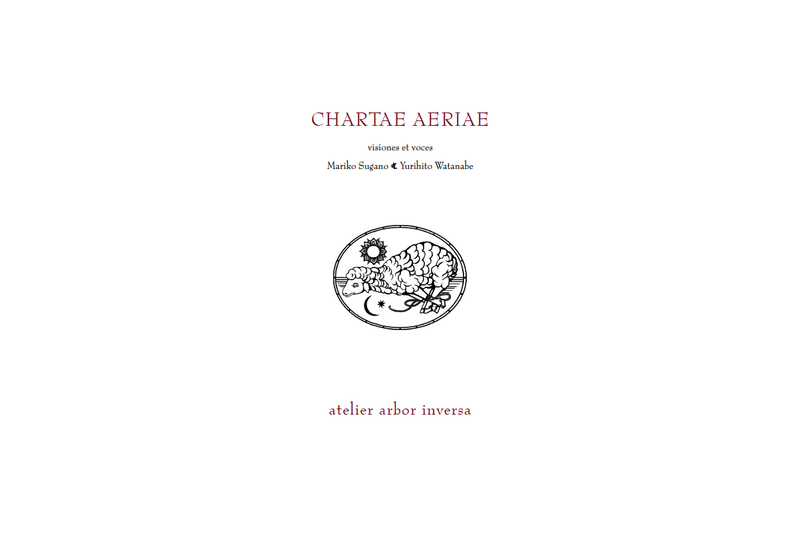 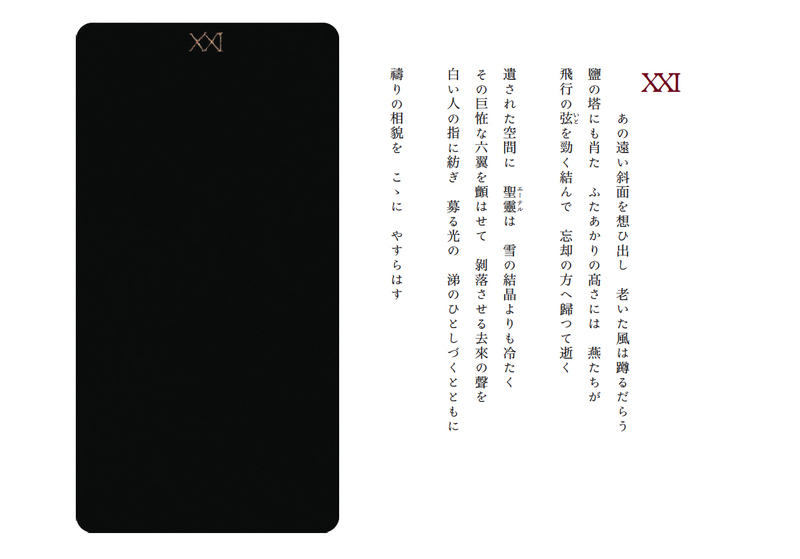 This book flees from so-called "illustrated poetry book", it is free and aerial like wind. 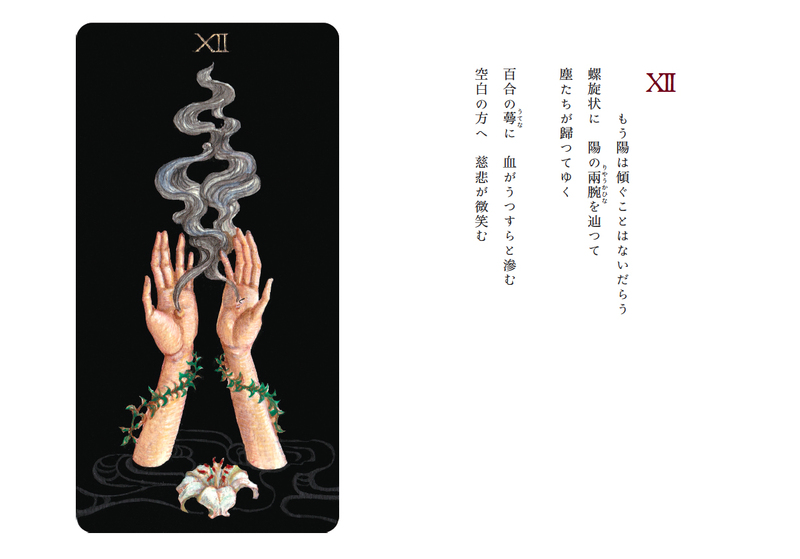 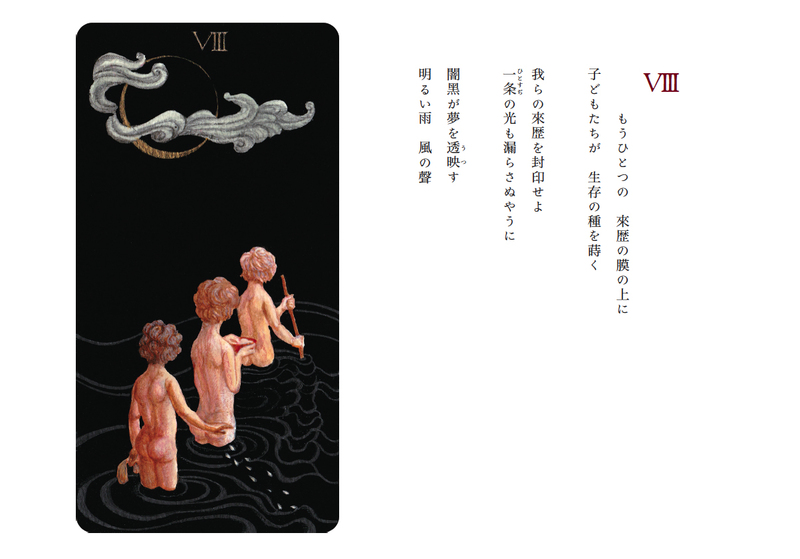 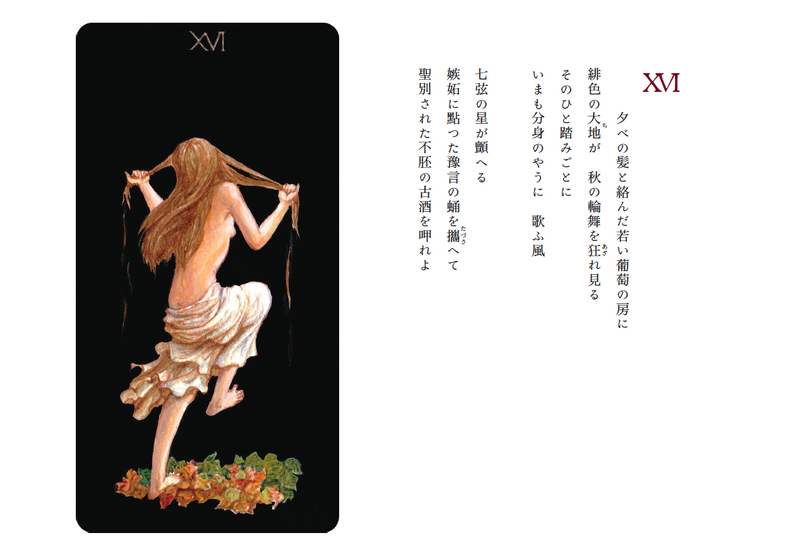 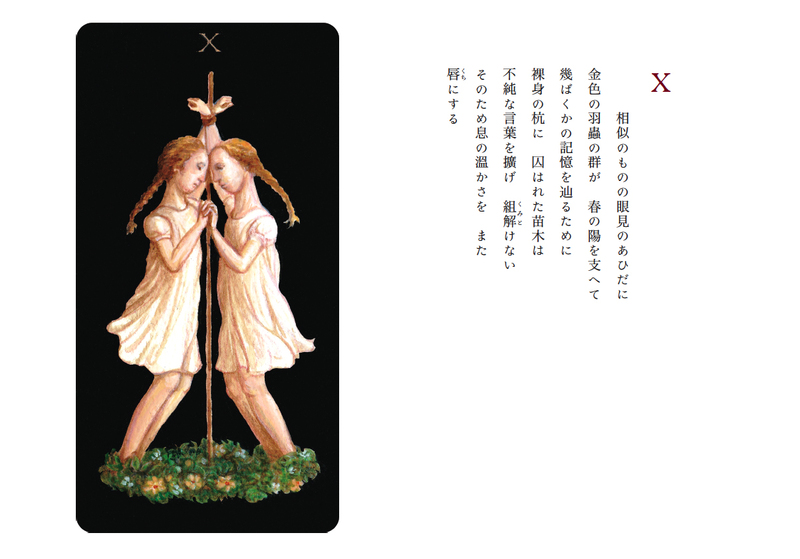 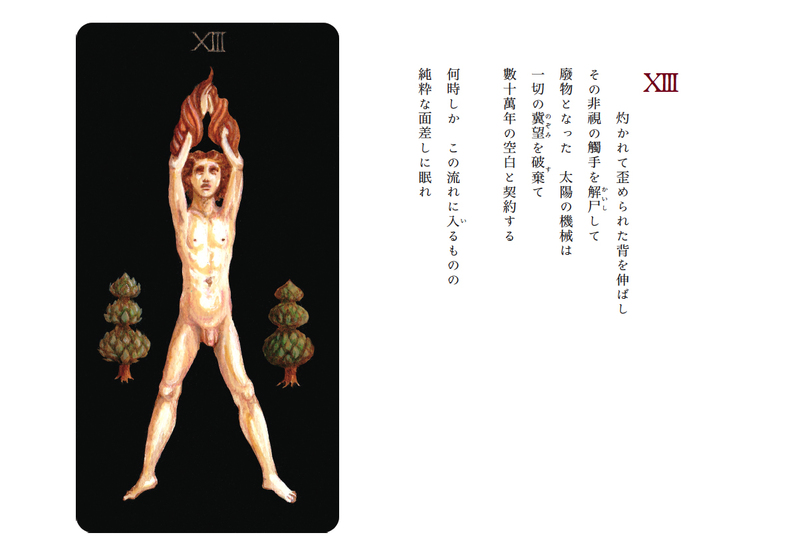 Here in this web site, all picture cards and poems are placed like ordinary facing pages, however the relations between "visiones et voces"or "visions and voices"are presented more closely.